Situated around 350 km down south from Manila in the Visayas, Boracay is a fabulous beach destination to discover. Sized only at 7 km long by 2 wide it’s a relatively small tropical island that has lots to offer. Just to see it’s 4km long famous white beach is well worth the trip it but the island by itself has around 30 beaches and coves for you to chose and discover. Some are easy of access by foot while others require a bit of swimming to be reached. Alternatively renting out a banca will take you around all of them and beyond. Virtually unknown 25 years ago it has fast grown into one of the Philippines most prized destination. 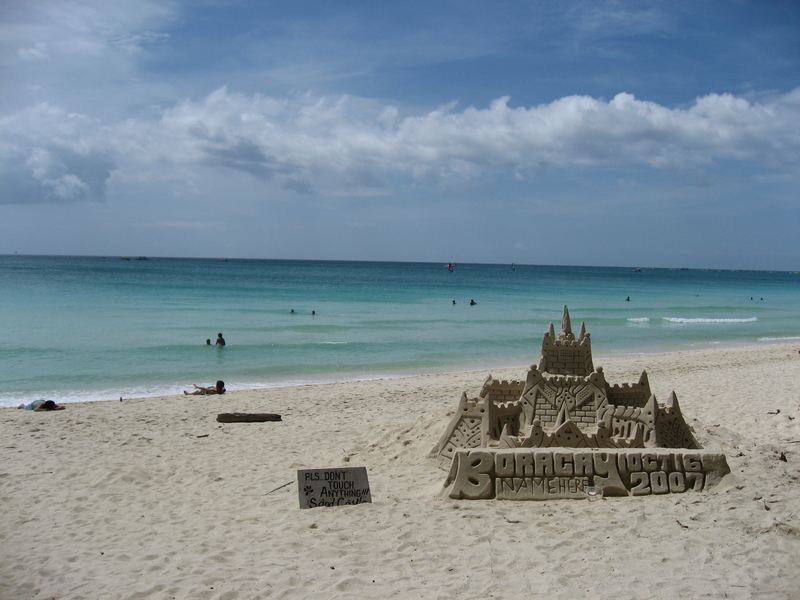 Boracay comes from the the word ‘borac’ which is cotton in English referring to the texture and color of it’s sand. The previous nights sleep was short (about 2½ hours) and as we left our hotel in Manila at around 5 am I was still in a dreamy state wondering if on my arrival if the water would be as pristine & if the sand really had that white powder feel like it looked on the pictures I had seen. From there you’re in for another 90 minutes car or bus ride to the ferry terminal that’s on the northern tip of the main island. It’s actually not that bad since it gave me my first glimpse of Filipino provincial life which is very different from the one of the Capital. 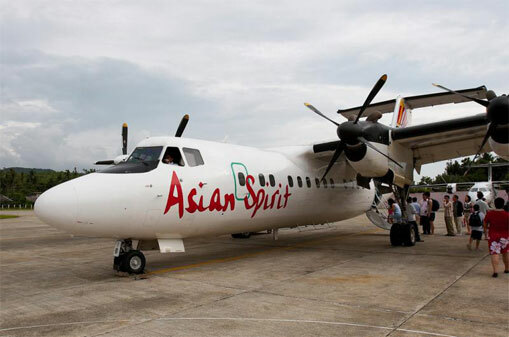 You can if you are in a hurry fly directly from Manila to Caticlan flight with Asian Spirit or SeAIR and skip the 90 minutes transfer on smaller 20-30 seated aircrafts. The Caticlan runway is as short as it gets and only these kids of aircrafts would be able to land and depart from. And now after checking in at our hotel time to actually go and take a first hand look (and snap a few pictures) of the famous White Beach. I was totally overwhelmed by its beauty! It’s the kind of place that you would only imagine possible to be true in Martini advertisements… But its booming, Leif who had been there just three years previously could hardly recognize a lot of the places. Every square foot of beach front left seem to have been almost bought and developed. A walk along the palm trees will reveal restaurants serving food from corner of the globe: German, Italian, Greek, Japanese, Indian, Thai, Caribbean, Scandinavian, etc. you name it! The old native style bamboo huts are almost all gone and what’s left is a modern strip of hotels with everything from small bars to all out night raves and discos. Ah yes this isn’t the worst place to be stranded is it? And now for a bumpy tricycle ride up to the top of the island on Mount Luho which is the highest point of Boracay which is around 100 meters high. The round trip should take you just under an hour. Cute looking little monkeys aren’t they ? 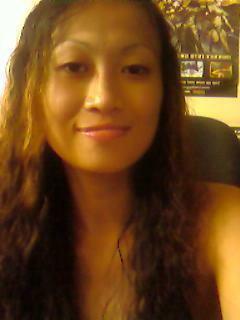 Picture from one of Leif’s friend home, a native woman that was one of the first to come in Boracay here 2o+ some years ago living with Bill, an American that left to visit Asia in 1972 and never made it back home. You can rent one of their rooms here for the year at $2500. The Zone is wi-fi as most staying here make money from the internet working at home. My mistake here telling the Canadian owner/bartender that his drinks were a bit light since a bottle of local Tanduay Rhum is 40 pesos in a sari-sari store (PS: 1$ CAD = 45 pesos today). We Both woke up still drunk hopefully an Australian couple we had met the day before had a hangover cure the next day for us. There are many activities possible though that range from: scuba diving, horse riding, kayaking, island hopping, renting motorcycles, all terrain vehicles and much more, etc. Leif had of course to take over the bar and prepare his own special drinks to our new half Filipino but swiss raised friend that had a little time off while his girlfriend was sleeping. Ok light it up ! And our last stop at an unnamed bar. These are the Very very obvious trannies you can only see coming out late at night … Others are very hard to differentiate. That was quite the inside joke of the night. Leif’s forces slowly dying out. Can’t blame him, its after all his last day of his 3rd week in the Philippines. A quick stolen picture of my last day in Boracay having brunch with the lovely presence of Anne Sy (quite a pretty Filipino/Chinese I met the evening before). Leif’s presence has been at last upgraded ! She said hello last week online so I had to do her justice & add her into my pictures with a more proper one of her. A few hours later I was on my way for Cebu city. This time I left from from the small airport of Caticlan with Asian Spirit airlines. The flight was one hour late this time & aboard a tiny aircraft. I was a bit uneasy since instead of the usual English emergency exit writing inside this model was all in Russian. Made me think I was boarding some old USSR Aeroflot aircraft. The speakers also made very a weird sound.